Since getting my Celiac Diagnosis, I have taken some form of probiotics off and on, in the hopes of healing my gut. After every “glutening”, I would diligently take those expensive little pills, hoping that whatever damage had occurred would be healed quickly. I pretty much live in fear that my body isn’t getting the nutrients it needs. Sort of like Pre-Diagnosis PTSD – I never want to feel that bad again! So reintroducing good bacteria in to my glutened war zone has always made the most sense to me. So what is water kefir? Well, surely you’ve heard of kefir. Kefir is a probiotic yogurt drink that I’ve often added to smoothies, etc. Water kefir is a dairy-free, gluten-free, soy-free alternative to it’s yogurt cousin. 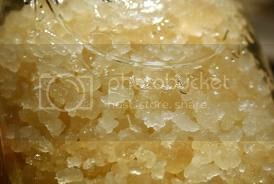 Using kefir crystals, you create a fermented probiotic drink. You can flavor it with all sorts of yummy dried fruit or fruit juice, so the taste is what you make it. From Mixed Berry to Pineapple – Fig to Plum, you decide! Guess what: The crystals are alive! Yup. They are the strains of good (probiotic) bacteria. During the process of making your beverage, you strain the little guys out and start again. So unlike kombucha, your finished product isn’t full of…..things. Then your little guys get to work for you again. So once you buy a water kefir kit, which comes with the crystals, you’re set to make water kefir for life! And who introduced me to water kefir? GRUB is pretty much an amazing place in Wilmington, NC. Offering educational classes and workshops, GRUB helps their community make better choices and take their health into their own hands through education. I met two of the fabulous ladies behind Grub at the expo, Ryanna Battiste and Liz Flint-Somerville. You can read more about their journey to Grub on their website here. GRUB’s website tells you that many of their clients have reported better digestion, deeper sleep, central nervous system support, clearer skin, and boosted immunity after drinking water kefir. And not only does GRUB teach you how to make water kefir, but they actually sell the water kefir kits too! Each kit contains two mason jars, kefir crystals, sugar, and dried fruit. Pretty much everything you need to get started! And today, GRUB has so graciously offered to GIVEAWAY one water kefir kit to a very lucky Gluten Hates Me Reader! Let’s heal our guts together! 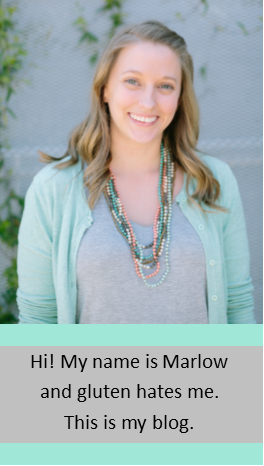 Email entry #16: Bronwyn! Bronwyn hasn’t tried water kefir, but she’s very excited to try it! Also Happy Birthday Bronwyn! The winner will be chosen Monday, September 2nd at 6pm – Good luck! Oy. I had one heck of a day yesterday! It was one of those days where it just starts to pile on. I woke up later than I wanted. I didn’t have the energy (read motivation) to go to the gym, but I laced up and went anyway. 30 minutes in to my workout, I started feeling sick to my stomach. Not one to quit, I tried to keep pushing which made me feel worse. By lunch I was ready to just throw my hands up and go to bed! BUT here’s the thing, when you’re in charge…when you’re the manager of where you work….you can’t just…throw your hands up. So I sucked it up. I faked it. And honestly, shortly after lunch, my gray clouds were thinning. I focused on positive thoughts, pointing out to myself all the great things in my life that I was overlooking earlier. I work with amazing people. We work for justice. For equality. We work with inspirational artisans. I have a loving and supportive husband. Great friends; An even better family. I am TRULY BLESSED. I drank tons of water. I took deep breaths. So long gray clouds. Hello sunshine. Maybe instead of going to the gym, I should have started my morning with some delicious gluten free pancakes. That could have turned things around fast! Just as you guys predicted, I am now obsessed with Pamela’s Baking and Pancake Mix. I picked up this single serve sample at the GFAF Wellness Expo, and I’m so glad I did! I wish I had realized years ago that Pamela’s contained almond. YUM! The pancakes cook easily. The batter bubbles; it turns crisp and brown from cooking. Pretty much what you would expect from pancakes. The end result is a fluffy, delicious gluten free stack of pancakes. Moist. Fluffy. Tasty. Crisp on the outside. Not words you often get to use when describing a gluten free food! Plus these babies have 4 grams of protein! Pair them with Greek Yogurt instead of syrup and you’d have a long lasting breakfast. I had to go with traditional syrup for my first taste test. And seriously, when will I learn my lesson about writing blog posts before I eat breakfast?! Do you love Pamela’s? Have your own favorite gluten free pancake mix? Yep. I’m sure this comes as no surprise. I love tiny foods and appetizers, and snacks are often both! So when Udi’s emailed me and asked if I would like to try out some of their new granola, and create a healthy snack with it, I of course said yes! Think cream cheese danish meets apple fritter. Sound good to you? Yeah, me too. or quarters. Simply spread a thin sheet of cream cheese onto your apple and sprinkle granola on top. Seriously – SIMPLE. BUT it tastes SO GOOD! I think my co-workers were surprised by how delicious it turned out to be. Yep. Good friends share their snacks – especially the yummy ones! I mean, it’s creamy and crunchy – what’s not to love?! I wish I had thought about combining these flavors when I was in college! This would have been a great mid-day study break snack! It’s a great combo of fiber – protein – fat – and carbs; perfect for keeping your body running until supper. I could also see making the cream cheese into a dip, or even using vanilla yogurt. Then you could dip with your apple and then dunk it into a small container of Udi’s Gluten Free Granola. Udi’s provided Gluten Hates Me with free Udi’s product. The thoughts, opinions, and general love for Udi’s are my own. I was not compensated for this post. Yesterday’s Water Kefir post is being postponed to next week because I actually have a BIG SURPRISE for you guys! I’m so excited to share it with you! So today, it’s time for another Fitness Fridays post! Last week I posted about Energy Bits, and today I want to tell you guys about another Pre-Workout that Parrish and I are absolutely hooked on! After trying Energy Bits, I realized that there must be other All Natural Energizers available in the market. Some of you are probably like DUH! But I don’t know, I guess I just hadn’t ever really thought about it before. Perusing the aisles of Whole Foods, I spotted Vega and was impressed by the ingredients. All Natural and gluten free! And the taste…well….. it’s fairly green. The powder comes in a lemon lime and an acai berry. I prefer the lemon lime flavor for sure, but it still doesn’t taste good. I mix it with water and chug it. Not in a head-buzz chemical-y way, but in a I just drank two cups of coffee and can take on the world kind of way! I drink it 20-25 minutes before I start a High-Intensity workout, like Zumba or a sprint/jog track workout. It definitely gives me more energy to sustain my workout. In the past, by the 40 minute mark in Zumba I would start feeling ragged, but not with Vega. I don’t take it before my morning workouts; I feel like I’m able to perform in the morning. But after a FULL DAY of work, it’s the perfect boost to help me get in a good workout! I’m excited to have Vega as an option for days when I’m pooped for work but still want to workout in the afternoon. And Parrish loves it! He uses it in a similar way, when he heads to the gym after work. It’s not cheap, but I was able to get it on Vitacost for WAY LESS than Whole Foods. We’ll see how long the canister lasts, that will give me an idea of the cost per use. Now, I’m off to the gym! Friday morning means it’s time for INTENSITY at the Y! Good thing I just finished a GIANT cup of iced coffee! This past Saturday, I attended my first ever COMPLETELY GLUTEN FREE event. The GFAF Wellness Expo took place in Durham, and I was so excited to go! While I don’t tend to eat a lot of cookies and cakes, I was still excited to be in an entire room where I could eat ANYTHING! Best gluten free cupcakes HANDS DOWN! 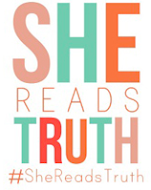 But if you’ve been reading this blog for long…then you already knew that! Cheenies Brazilian Bread was at the event. I didn’t realize they were produced right here in Durham! I LOVED their display of ideas for their little rolls! These would be positively adorable at any party or social event! You guys know how I feel about tiny foods! Love them! Local Soup Connoisseurs Slim on Soup were at the event. I LOVE their soups! I buy them at the South Durham Farmer’s Market, and love to take them for lunch. Not for lunch but still delicious…. New Planet Beer was at the event! I tried to Amber Ale and absolutely loved it! I also loved seeing Rudi’s at the event! Simple YET delicious gluten free quesadillas. I may or may not have had a few of these! It was my first time trying the Spinach Tortillas and I liked them. There were also a few booths featuring brands that I had never even heard of before! Their products were fantastic, and I’m excited to share them with you! AND crazy good! Get this, all you add to the mix: WATER. That’s it! And the result? LEGIT crusty bread! I don’t know how this works….or why it works….maybe it’s magic. Who cares. It’s DELICIOUS! Crusty on the outside, soft and doughy on the inside. I can’t wait to try making this at home! Moon Rabbit Foods Mixes. Made with Cassava Flour, I couldn’t believe how light and fluffy the yellow cake was! Yum! Plus they’re local here to NC; love that! Glutino certainly isn’t a new to me company, but I was excited to see a new product in person! Yep, their new pancake mix that comes in a convenient shaker bottle.Perfect for travelling (camping!) or just a quick morning. First, I couldn’t believe it when I watched the pancake mix actually BUBBLE on the griddle! And the end result was a soft and fluffy pancake. Very impressed Glutino! 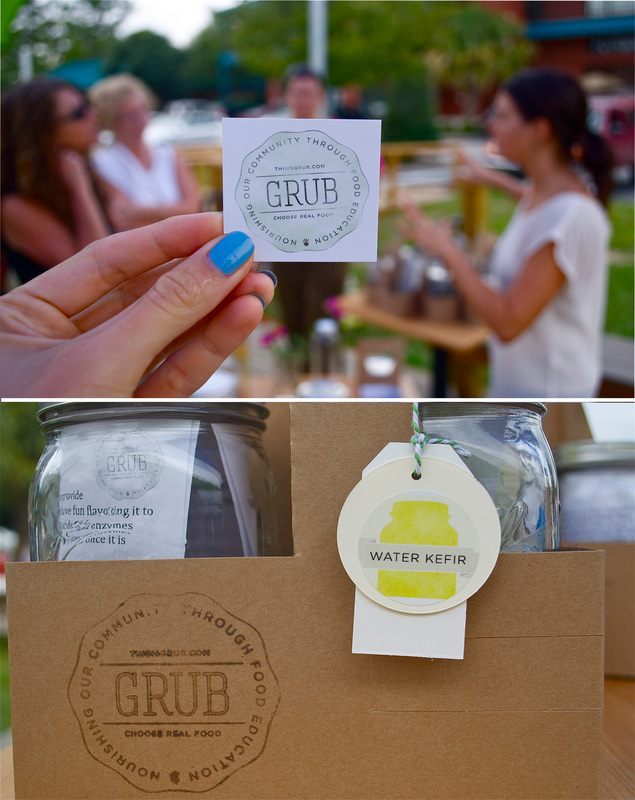 My favorite find of the event: Water Kefir from Grub in Wilmington, NC! And I can’t wait to share that with you tomorrow! We all know that dining out isn’t the easiest when you’re gluten free. But more and more, restaurants are offering gluten free options. It’s still important to do your research and make sure proper precautions are being taken to make sure cross-contamination doesn’t occur. So when I find a restaurant I can trust, I pretty much…latch on. I become a regular! I shout them out on twitter. I follow them on facebook. I let them know that I appreciate all the effort to make my meals gluten free. Let’s start with Bella Monica. Friday night I enjoyed an amazing Blogger Dinner at Bella Monica. The chef prepared a special menu for everyone participating, and it was amazing! It’s….crazy good. Crispy on the outside and covered with herbs. Soft and doughy on the inside. MOH and Parrish were dining with me, and MOH couldn’t believe the Focaccia was gluten free. It’s that good! I may or may not have eaten more than a few pieces. I couldn’t help myself! It was so darn good! Every course at Bella Monica was INSANE. Everyone was ooohing and ahhhing. It was such an incredible treat! A Tomato Tarte that stole the show with its buttery, flaky crust and tasty toppings. Tender, juicy pork medallions with an amazing sauce. Fun fact: this dish had the MOST delicious pearl onions, which I thought were mushrooms….and Parrish thought were potatoes. Either way…they were yummy! Perfectly cooked shrimp with zucchini noodles and pesto. I am CERTAIN that I now need a spiralizer! Fennell Au Gratin that surprised everyone! I thought I hated fennel; I can’t stand the licorice taste. But Jessica from Kettler Cuisine shared a secret with me: When you cook fennel it gets sweeter and less licorice-y. Truth. This dish was amazing! The bacon on top didn’t hurt either! Gluten Free Gnocchi in Bella Monica’s famous gravy. I die. I wish I hadn’t been so darn full when this was served because I was only able to eat two bites. I thought I might pop if I ate anymore! Bella Monica is an absolute gluten free TREASURE. The next time you’re in Raleigh check it out! Enjoy the focaccia…and maybe bring me a piece or two. I was so excited when I saw their booth at the GFAF Wellness Expo! Z Pizza is delicious! Tons of gluten free options – the crusts even come in two different sizes!! Plus it’s fresh. Delicious, healthy toppings with gluten free goodness in the crust. Love it! I spoke with the manager regarding their segregation of gluten pizzas and gluten free pizzas, and he had tons of great information. They only use rice flour for the tossing of the gluten pizzas, so there is no gluten flying around in the air. The gluten free pizzas are also prepared in a separate back room with their own pans that are built up on the sides to keep any accidental touching from happening. Even better? ZPizza has started offering their gluten free pizzas at local music venues where they’re serving pizza! Going to see a live band at Koka Booth in Cary? You can enjoy gluten free pizza while you’re there! I’m excited to have two great restaurants so close to home!